The Argentina Auberge restaurant welcomes you at the entrance of the village of Caumont in the Tarn-et-Garonne department. 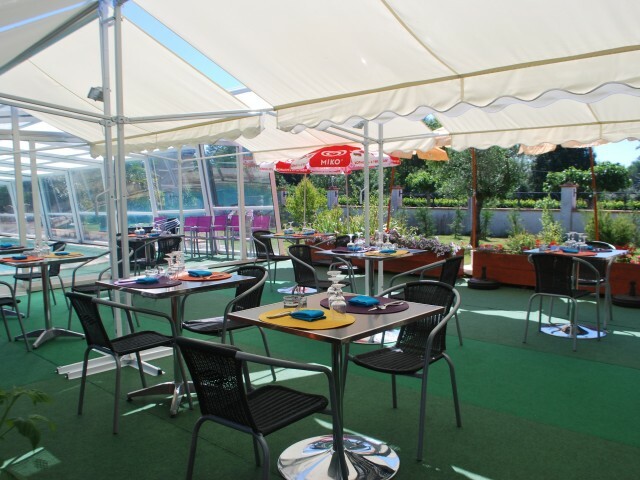 Our terrace is available for meals. She is very nice and flowery. Our restaurant has two rooms of 35 and 40 seats. We also have a banquet room for up to 80 people. We welcome you in a typical Argentinean part in warm colors. Our cook prepares small typical Argentinean dishes. Fresh fish a la plancha you discover the Argentinean flavors. You can take the opportunity to enjoy exclusive Argentinean wines. Soon for a typically Argentine restaurant elected moment in your favorite restaurant in Lucien Vanel-contest.